Celebrates the healing power, timeless wisdom, and unparalleled beauty of Nature through beautiful photographs and inspiring text. 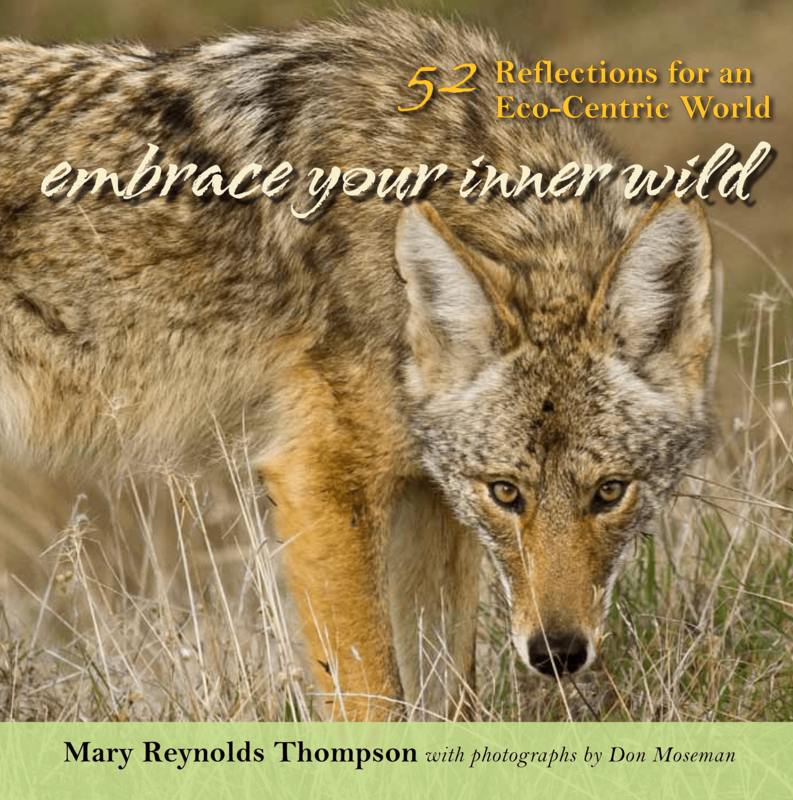 Embrace Your Inner Wild: 52 Reflections for an Eco-Centric World is a brilliant, full-color book of photographs and reflections that invite you to seek out wildness wherever you find it – within or without. Don Moseman’s spectacular photographs feature the wildlife and terrain of Marin County, California: the fiercely intelligent eyes of the coyote, the spiraling hawk in the supine sky, a bobcat prowling through golden grasses. These photos are paired with reflections by Mary Reynolds Thompson to awaken the reader to wonder. And to oneness.